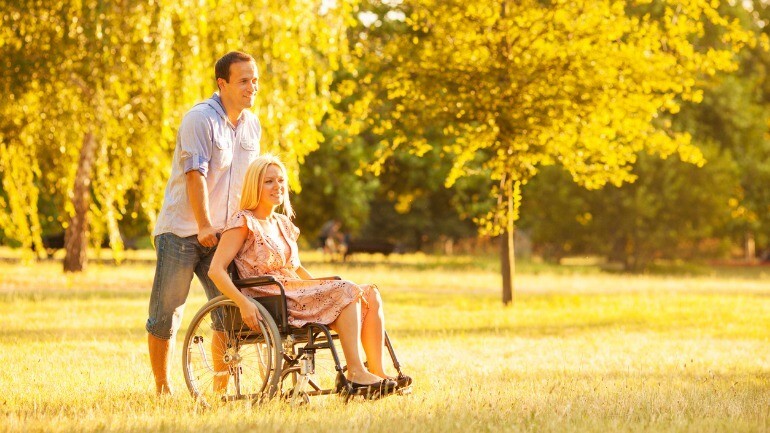 Long-term disability insurance can replace your income if you become disabled. And the odds of that happening are higher than you may think. Many primary breadwinners wouldn’t dream of leaving their family financially unprotected without life insurance if they die. But many of these same people often fail to protect their families if they become disabled to the point that they can’t do their jobs. Statistics show that you are several times more likely to become disabled for an extended period of time than you are to die prematurely. In fact, about one in four 20-year olds today has a chance of becoming disabled at some point in their lives. This is especially true if you work in a hazardous occupation, such as law enforcement, firefighting or construction. This is where long-term disability insurance comes into play. This type of insurance will pay you a set monthly amount after you become disabled until your reach a certain age (usually 65). It is designed to replace the income that you were formerly earning before you became disabled. There are two types of disability insurance. Short-term disability insurance provides coverage for up to two years after you become disabled (although many policies only provide coverage for three to six months). If you are still disabled once that has passed, then long-term disability insurance (ltd insurance) will kick in and pay you a monthly benefit until you “retire” (or reach age 65). Most short and long-term disability policies are sold as part of a benefits package through employers, but there are also standalone policies for the self-employed. There are two main categories of disability insurance policies today. The first is “non-cancellable”, which means that the insurance company cannot cancel your coverage or raise your premiums for any reason. A medical exam is required for this form of coverage. The second type is “guaranteed renewable”, which means that the insurance company can’t cancel your policy as long as you’re making the premium payments, but it can raise its rates for a designated group of people who share a common characteristic, such as working for the same employer that is not related to risk. Most policies today have both of these features as well as a built-in rider for cost of living adjustments in order to keep pace with inflation or a gradual increase in earnings. Many disability policies contain exclusions which prohibit the policy from paying out in certain circumstances. Skydiving and race car driving would be two examples of exclusions where the insured would receive nothing if they became disabled as a result of one of these activities. The policy may also exclude certain pre-existing conditions of the insured. Most disability policies will not replace 100 percent of your lost income; most policies will only pay 50 to 60 percent of what you were previously earning. However, this income is tax-free if you have been paying the premiums out of pocket and didn’t deduct them on your tax return. But if your employer is paying for your policy with pretax dollars, then your monthly benefit will most likely be taxable. Periods of disability are divided into two categories. Short-term disability lasts for two years or less, while long-term disability is longer than two years. The deductibles for both long and short-term disability policies come in the form of an elimination period. For short-term policies, the waiting period can be anywhere from one to three months, while it is usually two years for a long-term disability policy. The longer the waiting period, the lower the cost of the policy. The benefits period is the amount of time that the policy will make payments to the insured if they become disabled. Some long-term disability policies only pay benefits for a couple of years, while others will pay out until the insured reaches retirement age. There are two main types of long-term disability insurance. Own-occupation disability insurance will compensate you based on your current earnings from the job you had when you became disabled. For example, if you are a doctor earning $250,000 a year, then your disability insurance would compute your benefit based on that amount. However, if you are still able to work some sort of job that pays far less than what you were earning, then your disability insurance carrier may reduce your benefits by a proportional amount. You generally get full disability benefits if you are only able to earn less than 20 percent of your pre-disability income. And if you can earn at least 80% of your pre-disability income, then most insurers will not classify you as being disabled. This is known as “any occupation” coverage. For example, if you worked in an office making $60,000 a year, then tripped and fell and were severely injured, then you would probably only get the full disability benefit of 60% of your previous pretax income as long as you are now unable to earn at least $12,000 a year (20% X $60,000). If you have enough in savings to cover two years’ worth of living expenses, then you may not need short-term disability insurance. But long-term disability insurance should be an integral part of your financial plan and is just as important as life insurance. This is because disability is not only much more common than dying prematurely; it can be far more devastating financially than death. If you die, then your life insurance will pay out and you will not incur any more expenses. But if you become disabled, then you may need long-term care for a length of time or the rest of your life, the cost of which can be staggering. You may have to pay out as much every month as you were previously earning, and only long-term disability insurance can replace your lost monthly income. The Council for Disability Awareness stated that the average case of long-term disability in 2013 lasted for 34.6 months – 10.6 months longer than can be covered with short-term disability. It also says that more cases stemmed from musculoskeletal and connective tissue disorders than anything else, while cancer came in second. Most financial planners recommend coverage that equals at least 60 percent of your current earnings on an after-tax basis. This should roughly equal your take-home pay and should pay out until you are at least 65 years old or for the duration of your disability, whichever comes first. Gen Re published a study five years ago titled “2013 U.S. Group Disability and Group Term Life Market Survey”, and it revealed that the average annual premium for a new group life disability policy was $226. Of course, the vast majority of disability insurance carriers want you to get back to work as soon as possible, and they will usually work with your employer to map out a plan for rehabilitating you. Their financial interest in this is obvious: the sooner you go back to work, the sooner they can stop paying you. You can also stop paying premiums after a predetermined amount of time if you become disabled, such as 90 days. This is known as a “Waiver of Premium” benefit. The vast majority of disability insurance policies today are offered as a benefit by employers in the form of a group policy. Group coverage is usually cheaper than standalone disability insurance. 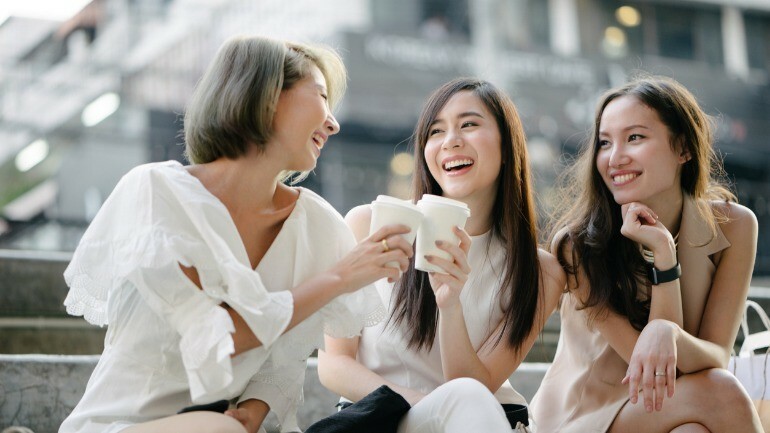 But if you think that your group coverage is inadequate, then you should consider purchasing an individual policy to either replace or supplement your group coverage. You can get one from your financial planner or life insurance agent or even online. Your mortgage lender may also have some form of disability protection as well. The cost of your disability policy is dependent upon several factors, such as the elimination and benefits periods, your occupation and the amount of the monthly benefit. Age, gender, smoking history and state of residence are also factored in, along with any additional riders that you add to the base policy. Long-term disability insurance protects one of your most valuable assets: your ability to earn an income. If you become unable to work for more than two years, then this type of policy will start paying out after two years and will continue to pay you until either a certain benefit amount is reached or you reach retirement age. Furthermore, there are no restrictions on how you can use the money that the insurance company pays you every month. You have the same freedom with this money that you had with your pre-disability earned income. And, as mentioned previously, this benefit is tax-free if you have paid the premiums with after-tax dollars and didn’t deduct them on your tax return. It can also eliminate the need for you to access your retirement savings prematurely. Of course, the most obvious drawback to long-term disability insurance is the cost. If you carry this coverage for your entire career and never make a claim, then you have paid thousands of dollars in premiums for nothing. And the cost of this coverage increases as you get older or if you have some health issues. The policy will also usually exclude any pre-existing condition that you may have, and it can be difficult to find a good policy at a reasonable price if you’re over age 40. These policies also won’t necessarily cover every claim that you submit; the limits of your coverage can vary with your age, health, occupation and income. It also won’t pay you anything when you die; only life insurance does that. Social Security Disability Income (SSDI) – This form of income is very difficult to qualify for because of its strict underwriting guidelines. You must be severely disabled in order to receive this benefit. And the benefit will most likely not be enough to cover all of your expenses. Short-Term Disability Insurance – If you can’t afford long-term disability insurance, short-term coverage is better than nothing and is cheaper than long-term coverage. Workers’ Compensation – This type of coverage will only pay out if you are injured on the job, and like SSDI, it probably won’t cover all of your expenses. The majority of employers are required to offer this coverage to their employees by state law. Self-Insurance – If you have enough saved, then you may want to consider doing without long-term disability coverage. You’ll save money up front by not having to pay the premiums, but you’ll have to foot the bill yourself if you become disabled. Family and Friends – A family member or other loved one may be able to help you out financially if you become disabled. Who Offers Long-Term Disability Coverage? Most major life insurance companies offer this form of protection. Unum, State Farm, Allstate, American Family Insurance and Mutual of Omaha are just a few of the companies out there that can sell you this insurance. 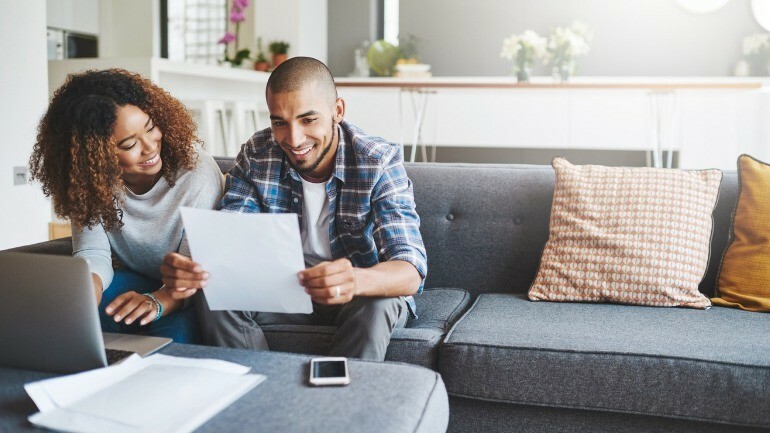 Your financial planner or life insurance agent will most likely have access to several competitive policies, but it’s a good idea to shop around in order to find the best policy for you. You can also find disability quotes online. Long-term disability insurance can protect your income if you become disabled for an extended period of time. It is vitally important to have this form of coverage if you or others depend on your income to survive. Statistics show that you have about a one-in-four chance of becoming disabled for some period of time during your career, so don’t get caught unprepared. Disability coverage can help to defray the cost of caring for you as well as paying monthly bills. This vital form of protection should be part of everyone’s financial plan, as it can protect what may be your most valuable asset-your ability to earn a living.